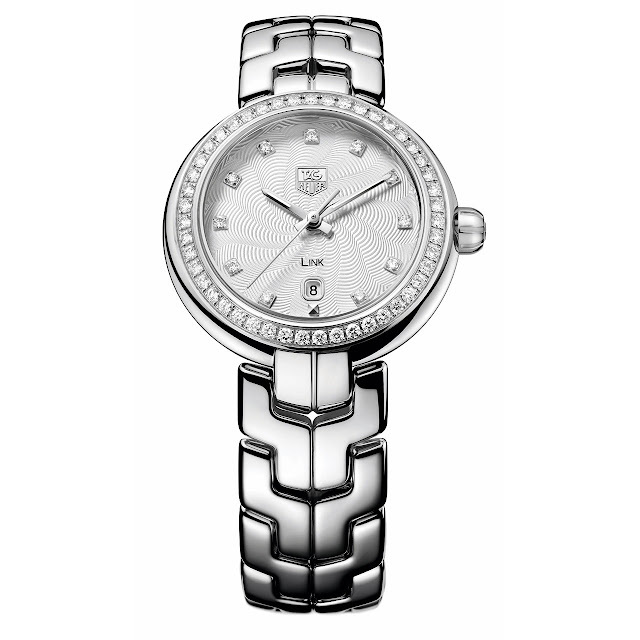 TAG Heuer's Link Lady collection welcomes a new model in a delicate pebble-shaped case with a slender 29-mm diameter. For women who prefer steel but aren't prepared to sacrifice luxury and opulence, 47 diamonds, each measuring 1.4 mm for a total 0.52 carat, take the stage. Neatly aligned around the bezel, they mirror the 11 diamonds that circle the dial, which is delicately enhanced with guilloché in concentric waves. 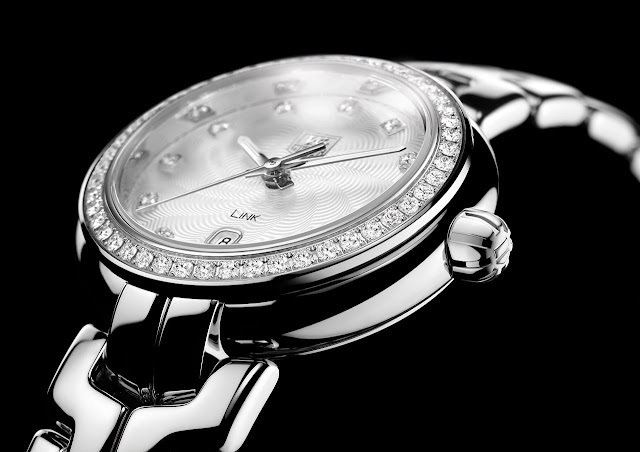 The sparkle of precious stones raises this timepiece to the rank of jewel. The immediately recognisable LINK bracelet and its S-shaped links have been redesigned. Link Lady plays by one rule: to dedicate excellence, comfort and beauty to the pursuit of pleasure.